A small cottage sits on the river bank under the stars. 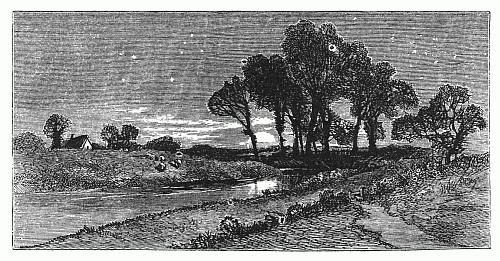 This black and white drawing of a starry night would make an interesting addition to your next creative project. This is one of a number of drawings the I felt deserved being included on Reusable Art from The Nursery, April 1877, Vol. XXI. No. 4.